Now that sounds like a ranch I’d like to visit and spend some time. Makes me feel like a cowgirl after a long day in the saddle. It’s time to sit and relax the evening away, dreaming about another ride tomorrow. I like the name of this ranch. It makes you feel at ease the moment you arrive. With so much to choose from at this ranch you are sure to create your own fun times and memories. From riding horses to taking a turn on a zip line, the days are filled with whatever is on your list. This is a great place for families with lots of programs for the kids. They can start out learning the basics of being around a horse. By the time the vacation is over, everyone can ride a horse and be cantering down a trail and maneuvering through obstacle courses. The ranch hands know the horses well because the horses were all born and raised on the ranch. They all have names and of course their own personalities. The wangler can definitely saddle up a horse that will fit your riding ability. The prices for staying at this ranch are for May 31 to September 17 2015 and is per person. Adults Single 18 and older $2100. $425. Adults 18 and older $2050. $400. Teens 13 to 17 $1850. $375. Kids 6 to 12 $1650. $350. Kids 2 to 5 $900. $200. The contact information is PO Box N 447 County Rd. 3 Parshall, CO 80468. Phone numbers are 970-725-3437 and 800-396-6279. Your stay at this ranch is like most guest ranches, you choose what you’d like to do from their long list of fun things. On a dude ranch there is always the horses. Bar Lazy J also has great horses that the wranglers will match you with according to your riding experience. Once you are comfortable with your mount, there are numerous rides to choose from. The Breakfast and spa ride along with all day rides and trails that take guests into the higher elevations. So figure out which one you’d like to try, maybe take a different one each day. If you’d rather fish, that option is available too. The Colorado River has a catch and release policy for fly fishing near the ranch. Since you can’t keep those fish there is a pond with keeper trout. I read that the cook will fry up your catch too. For a really exciting time you can zip across the Colorado River on the ranch’s zip line. 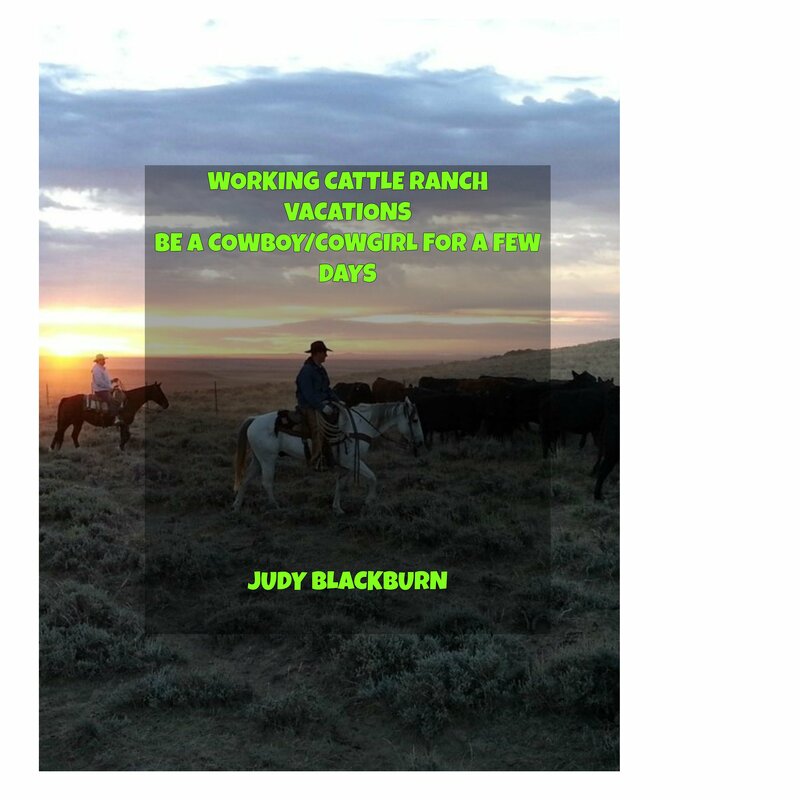 Cows and horses kind of go together and here at the Bar Lazy J guests can ride their horses and learn about moving cattle around. If you like to learn some barrel racing and pole bending events that can be arranged as well. More fun things include trap shooting, hikes, swimming, or sitting in the hot tub. A barn is used for such games as ping-pong, shuffleboard, and other type games. If you are not wore out from all the daytime activities, the evening has more offerings. A hayride, cowboy music, and line dancing are on the list. On Saturday’s attend a rodeo. Twelve cabins are on the ranch with all the comforts of home and with names of fishing flies or wildflowers. The prices are for May 24 to September 27, 2015. The prices are for a weekly stay that goes from Sunday to Sunday. Adults 13 and older $1995. Kids 3 to 6 $1195. The ranch has included as Adults Only time for the weeks of May 24, August 30, and the entire month of September. They offer a lesser amount price of $1795.50 and a day price of $265. This ranch can be contacted at 970-283-9420. As all dude ranches, High Lonesome can match you with the best horse so you can have an enjoyable experience. They have Paints and Quarter Horses. Not all dude ranches offer a working ranch situation, but this one does. If you’d like and are up to the challenge you can help move cattle from one pasture to another. Something I haven’t heard of is call Equestrian Geocaching. The event lets you hunt for treasures by riding your horse and using a GPS. Sounds different and a lot of fun. There is the regular trail riding too that takes guests through the beautiful Colorado countryside. Another attraction is the opportunity to watch wild horses. It is said these horses came from the Native American and Spanish horses. At these prices guests can stay in the Guest House, the Pond House, or the Homestead House. Another choice is Castle Rock Camp which are tents set up in Kimball Creek Valley. Their contact information is PO Box 30, Grant, CO 80449. Phone 1-303-838-5981 or 1-800-654-8770. Trail rides range from long rides to short ones in the mornings or afternoons. The longer rides include a picnic. I think this would be a fun ride and the one I would choose. Even more fun might be the overnight pack trip into the back country. Guests have had a week to practice their horsemanship so at the end of the week’s stay, they can participate and compete in the rodeo. Events such as pole bending and barrel racing are some of the fun things to ride in. The prices for summer 2015 and starts June 21 to August 16. Adults and teens ages 12 and older $2500. If you’d like to take advantage of the nanny service it is $1500. Adults and teens ages 12 and older $315. Kids under 3 $ 50. Babysitting is available, but has an extra cost.